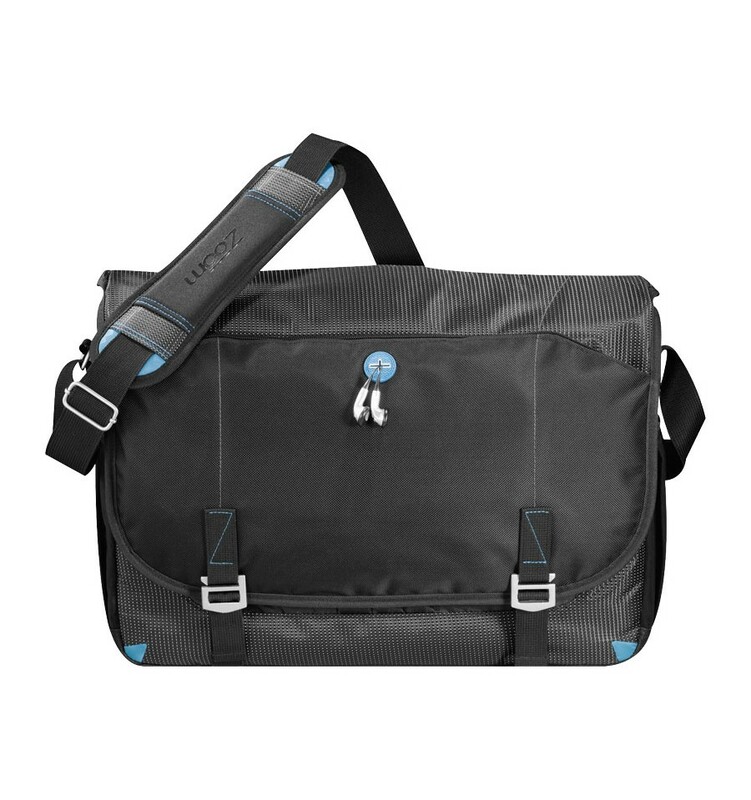 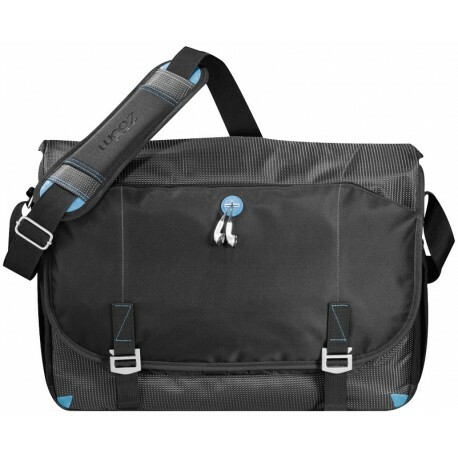 Checkpoint friendly 17" laptop messenger bag. 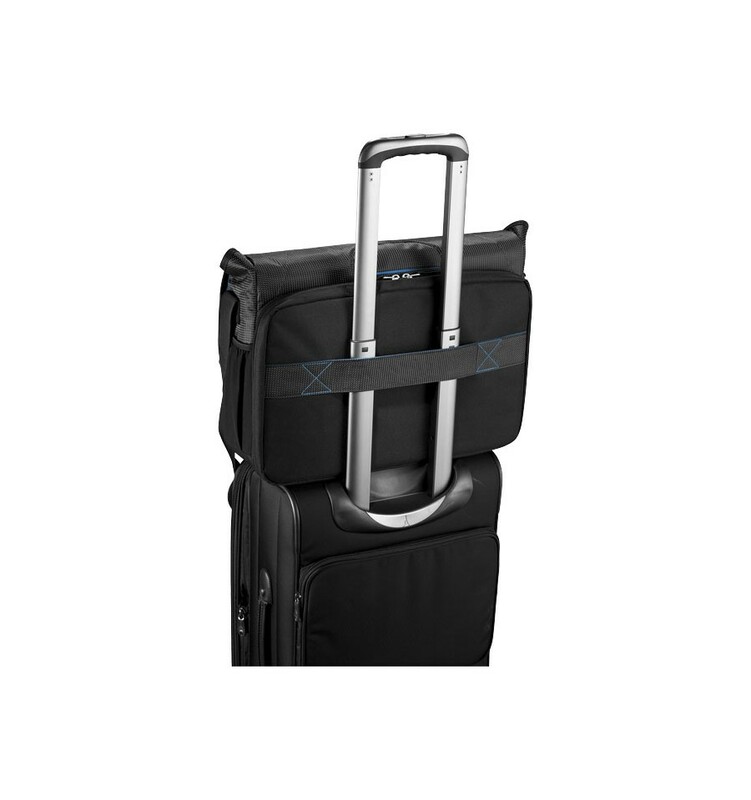 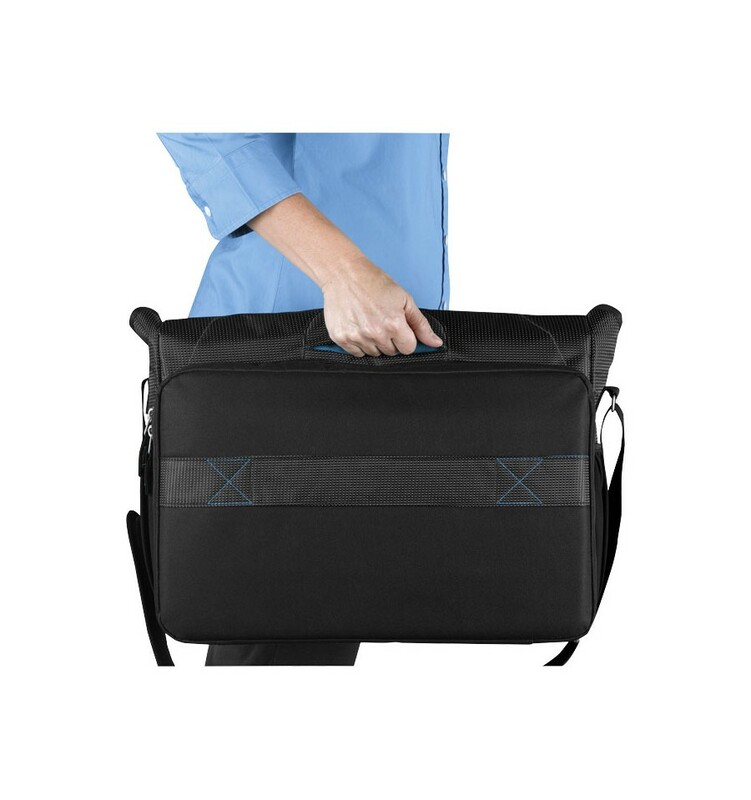 Back zipped compartment holds up to 17" laptops and also has a separate Velcro pocket. 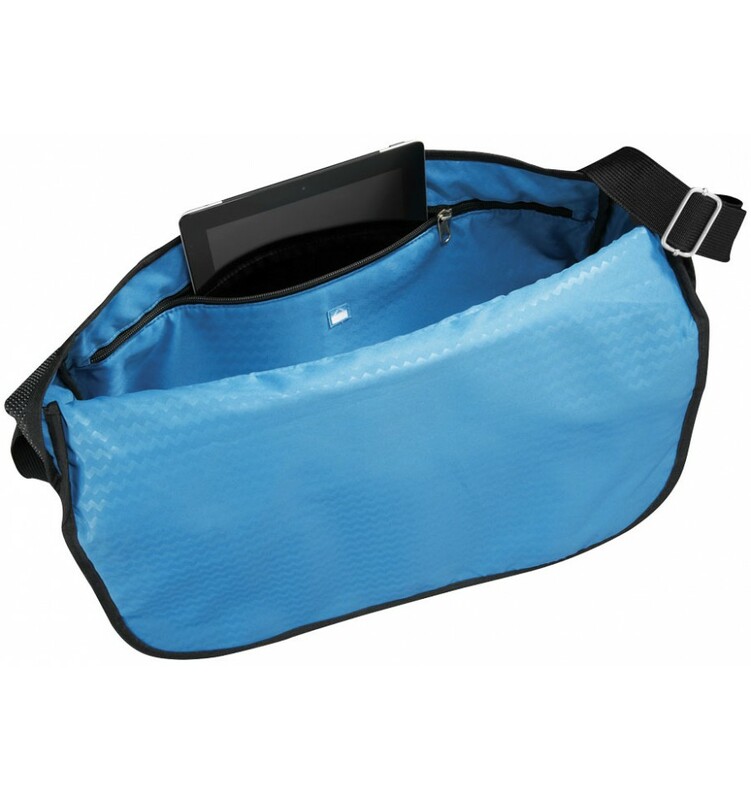 Open main compartment includes a dedicated zipped nylex-lined padded iPad pocket. 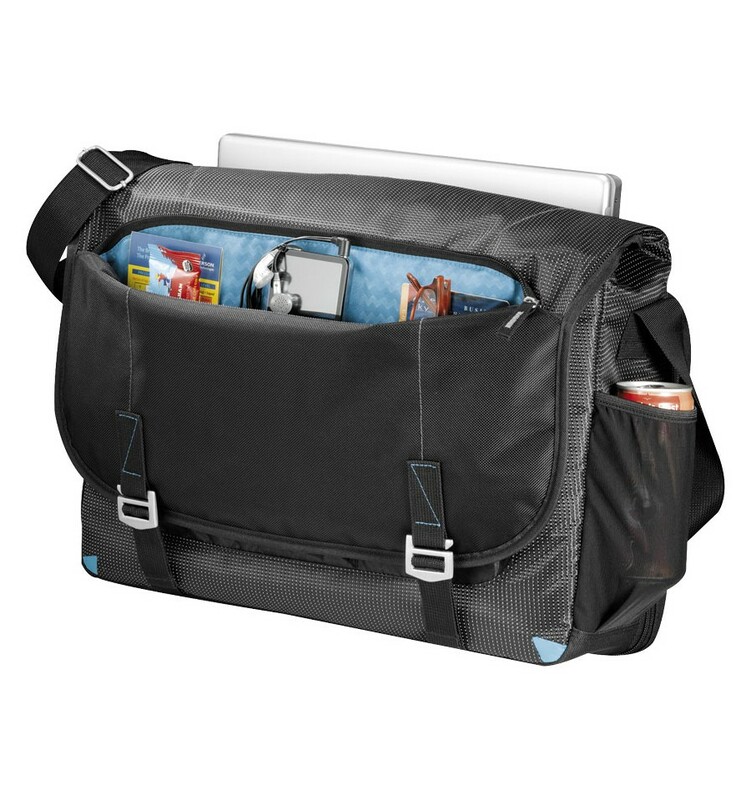 Protective flap with zipped front pocket that includes an organiser panel and earbud port access. 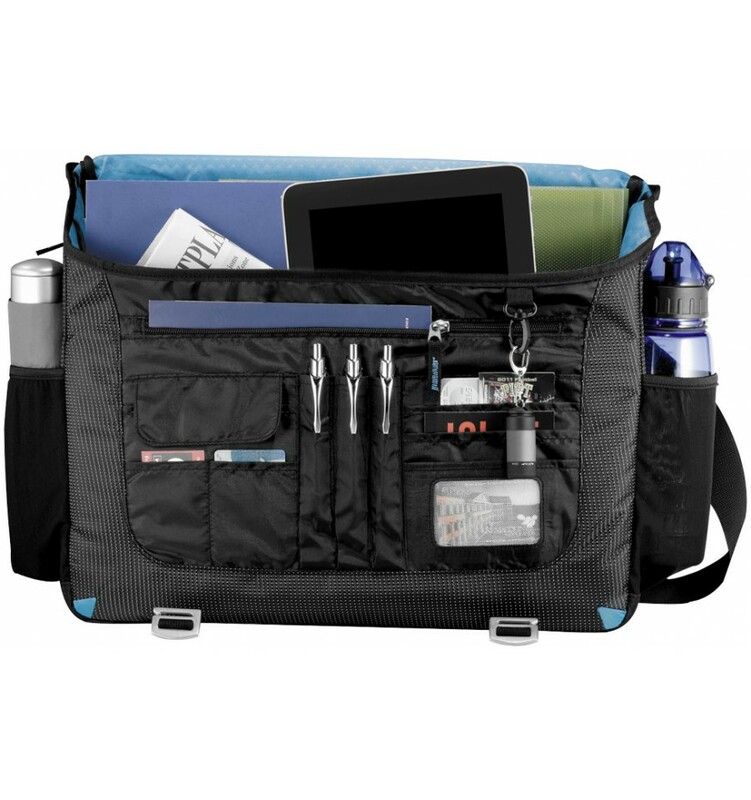 Deluxe organiser and additional zipped pocket under flap. 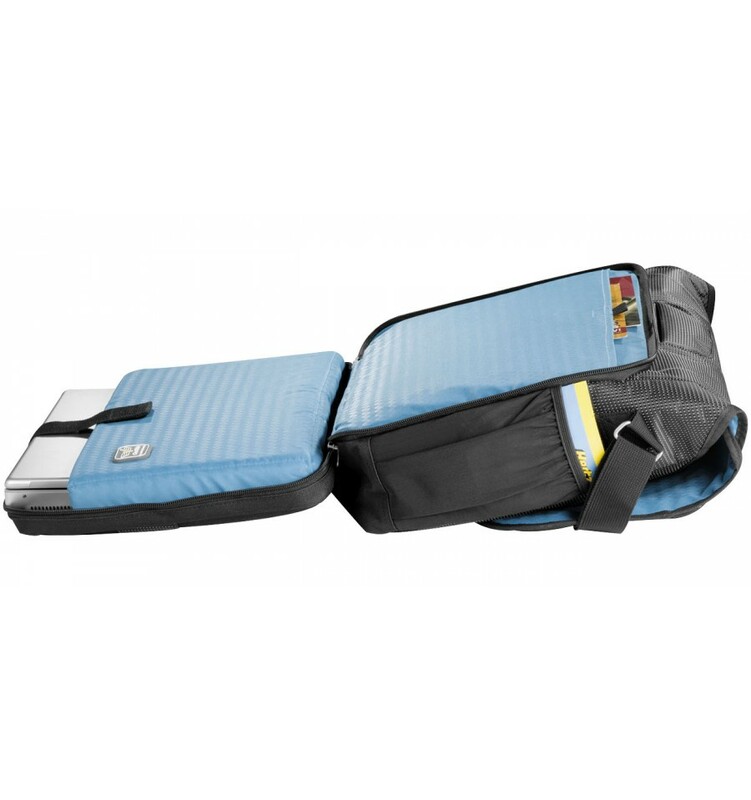 Unique hidden grab handle and adjustable padded shoulder strap with non-slip pad.